Workers compensation is a “must have” insurance in the construction industry. Certain officers are entitled to be statutorily exempt from workers compensation (pursuant to Florida Statutes Chapter 440). See Fla.Stat. s. 440.02(15). But, if exempt, these officers are not entitled to receive workers compensation benefits. The reason to obtain an exemption is to avoid paying premium for these officers. -The corporation must be registered as an active Florida company (with Florida’s Division of Corporations). -The applicant must be identified as an officer (with Florida’s Division of Corporations). -The officer must own at least 10% of the corporation. -No more than three officers can be exempt. -The exemption is valid for 2 years. For an applicant to receive a statutory exemption for a limited liability company, the above requirements pertaining to a corporation are applicable except for the applicant being required to be identified as an officer. An applicant that satisfies the exemption requirements will receive a Certificate of Election to be Exempt that will identify the dates the exemption is in effect. Notably, sole proprietors, independent contractors, and partners may also receive a Certificate of Election to be Exempt and not recover workers compensation benefits. See Fla.Stat. s. 440.05. While there is a statutory exemption for the officer/owner-employee, there is not one for the nonofficer/nonowner-employee. Thus, if the construction company relies on full time or part time nonofficer-employees, workers compensation is required for these employees. Additionally, general contractors need to ensure that every subcontractor it hires has workers compensation or a valid Certificate of Election to be Exempt. In case a contractor sublets any part or parts of his contract work to a subcontractor or subcontractors, all of the employees of such contractor and subcontractor or subcontractors engaged on such contract work shall be deemed to be employed in one and the same business or establishment; and the contractor shall be liable for, and shall secure, the payment of compensation to all such employees, except to employees of a subcontractor who has secured such payment. Under a statutory employer analysis a contractor is protected from workers’ compensation liability for the employees of a subcontractor, an independent contractor, or sole proprietor if an officer of a corporation or the subcontractor validly elects exemption from coverage by filing a written notice pursuant to Section 440.05 Fla. Statutes, 2009; or has otherwise secured the payment of compensation coverage as a subcontractor for the work performed by the subcontractor. This is a vertical analysis starting with the general contractor on top. The general is responsible unless those in the vertical chain below have either secured workers’ compensation coverage or are under a valid exemption. For instance, in Smith v. Larry Rice Construction, 730 So.2d 336 (Fla. 1st DCA 1999), a general contractor was building a Taco Bell. The general contractor subcontracted the framing to a subcontractor. The subcontractor did not independently secure workers compensation benefits; rather, it leased employees from a labor leasing company that secured workers compensation for these laborers. The subcontractor then engaged a sub-subcontractor –really, a sole proprietor and his crew as additional labor–to perform a portion of its framing scope of work. The sole proprietor / sub-subcontractor was injured on the project. While the sole proprietor / sub-subcontractor had a Certificate of Election to be Exempt, the exemption had expired at the time he was hurt. The sole proprietor sought workers compensation benefits but these benefits were denied. He argued that the general contractor constituted his statutory employer (per Fla.Stat. 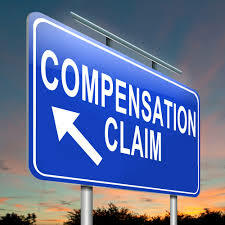 s. 440.10) and is liable for his workers compensation benefits. The First District Court of Appeal agreed and found that the injured sole proprietor was a statutory employee of the general contractor and entitled to receive workers compensation benefits. This entry was posted in Insurance and tagged certificate of election to be exempt, Florida Statute 440.10, Florida Statutes Chapter 440, statutory employer, statutory exemption, workers compensation by David Adelstein. Bookmark the permalink.